The management of the University of Nigeria, Nsukka (UNN), invites applications from suitably qualified candidates for admission into the following Sandwich Degree and Diploma Programmes of the University of Nigeria, Nsukka, Alvan Ikoku College of Education, Owerri, Nwafor Orizu College of Education, Nsugbe and Colleke of Education, Ikere. Codes for different Affiliated Universities. UNN Sandwich Degree & Diploma Courses. UNN Sandwich Degree & Diploma Entry Requirements. 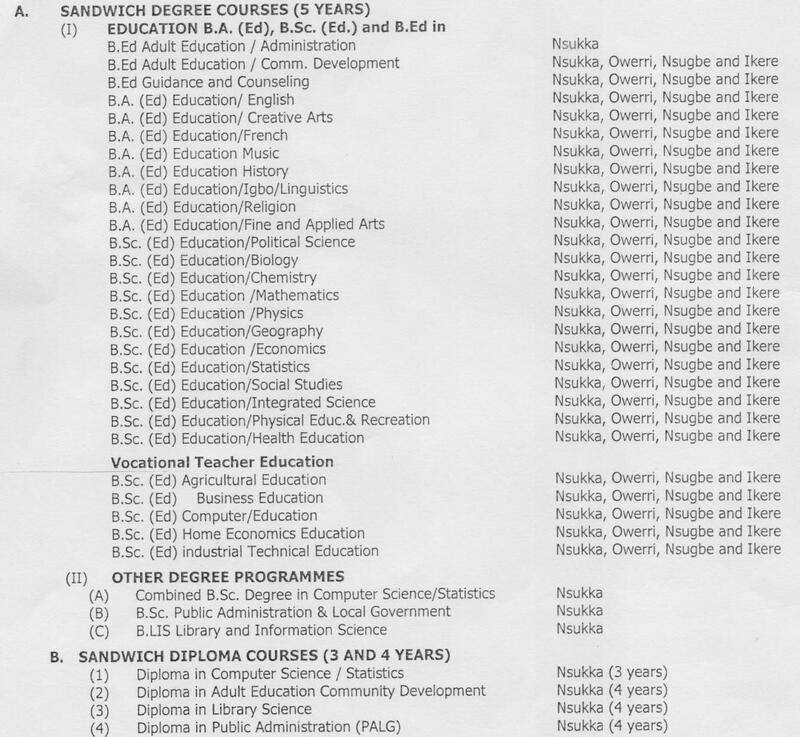 How to Apply for UNN Sandwich Degree & Diploma Admission. SALE OF FORM AND RETURN OF FORMS: The sale of forms begins on Monday, March 19, 2018 and ends on Saturday, June 30, 2018.